We offer a standard weekday delivery, or Saturday delivery to the UK mainland. Standard UK delivery is free on orders over £500. Provide a mobile phone number at checkout to get text alerts on your delivery. Consumer Credit is available through Omni Capital Retail Finance; add items to your order and see the monthly cost at the bottom of the basket. Checkout your order with Omni Capital Retail Finance to go through the simple application process. The Punch HomeDT 12 range has been created around giving you options. 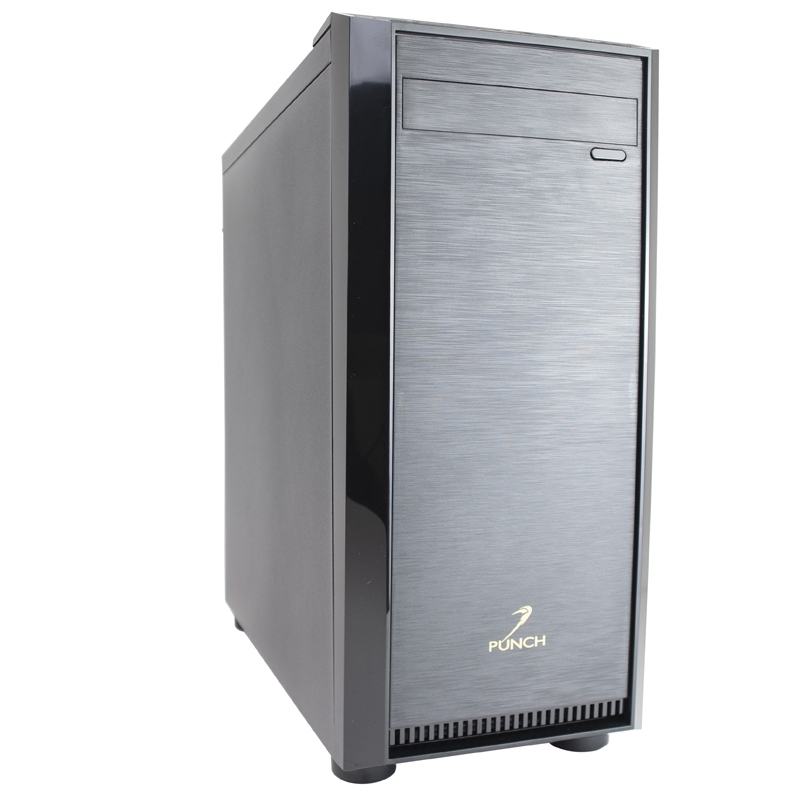 The case front is formed from quality materials, with polished and cut finishes that makes an attractive and presentable PC for your home. However, if needed its compact chassis allows you to easily hide the HomeDT12 from view. Based around Intel 7th generation processors you can choose from Pentium through to Core i7 and then settle on your configuration safe in the knowledge you have the room to expand. 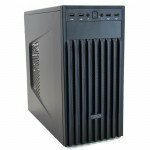 We have left spare memory and graphics slots, coupled with a spare storage drive bay, building flexibility right into your PC. 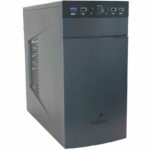 Available with the choice of SSD and HDD in a range of sizes, and some great value RAM configurations. 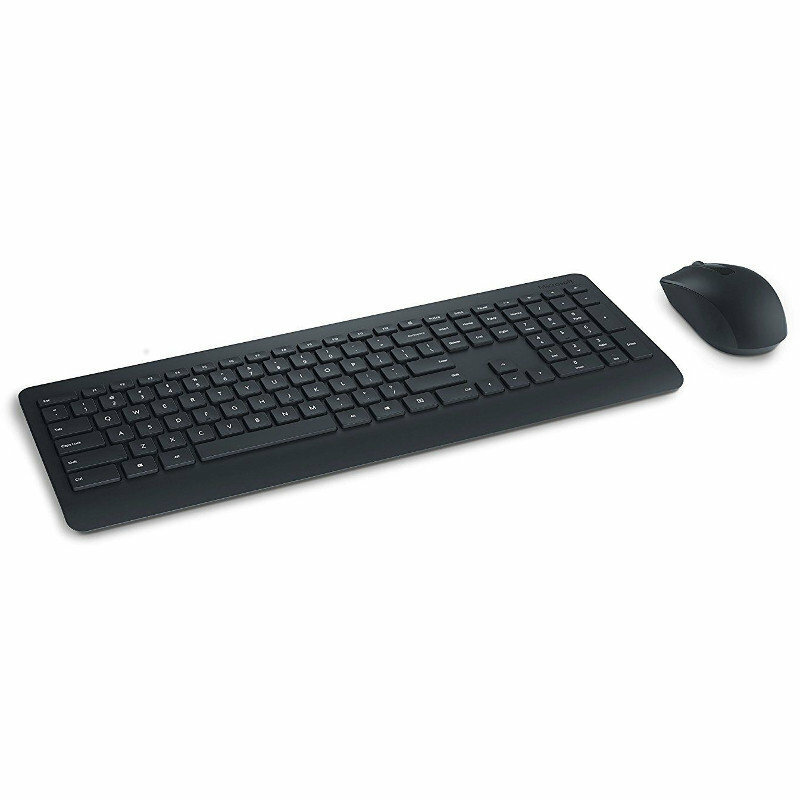 Your home office deserves a PC system that’s small yet powerful. 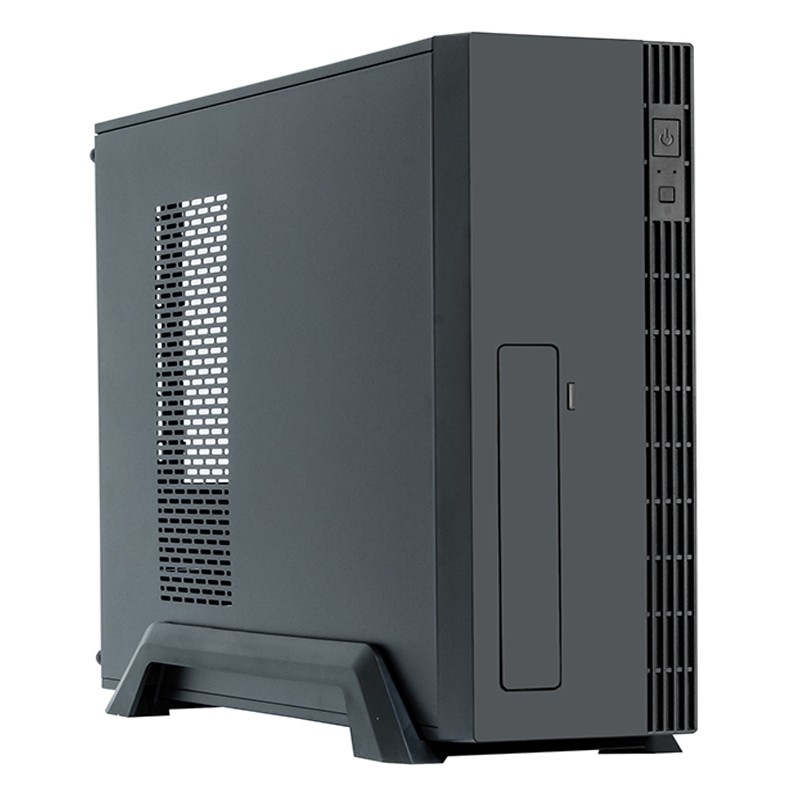 Our unique design offers a PC system built using industry standard components for reliability and upgradability yet is around half the size of a traditional desktop tower system. Despite its small size, performance and specification are high. 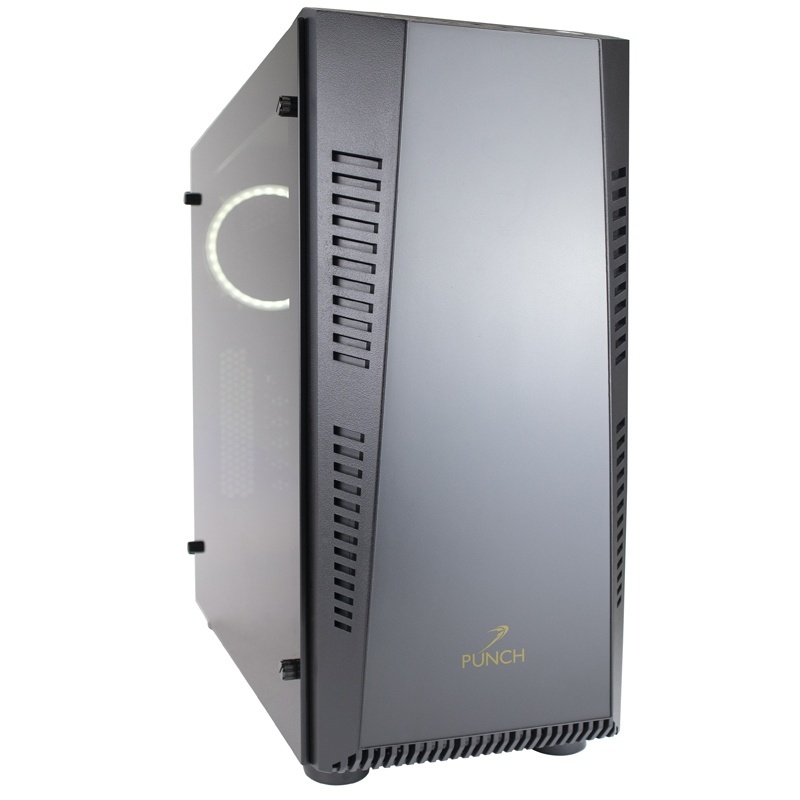 the compact chassis can accommodate an optical drive, 2 hard drives or SSD drives, a full size mATX motherboard and ample space to accommodate standard full height add on cards. We include a high efficiency power supply as standard which not only saves on electricity consumption but is also extremely quiet. The latest generation of Intel Core processors will all provide good performance for general office productivity tasks. There are some differences which can help make your PC run quicker and undertake more tasks at once. Processor frequency – All processors will have what is known as a clock frequency. This is displayed in the description (for example 3.00GHz) where the number of GHz is the speed and the higher the number the faster the processor will run. Core i3 processors have two processor cores which will enable them to undertake two separate tasks at once. 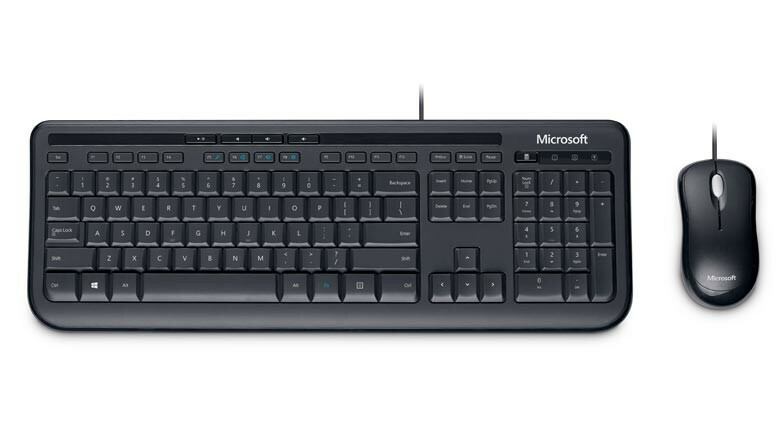 This processor is ideal for use when general office applications are all you need to run. Core i5 processors have four processor cores and are ideal for more demanding workloads. Systems will prove much more responsive and be able to run many applications at once. Core i7 processors are the choice for the most demanding tasks. The Core i7 processor features hyper-threading meaning that each of its four processor cores is often able to undertake 2 tasks at once. In performance terms, it can add 30% more workload throughput compared with the equivalent i5. For home productivity, we recommend a minimum of 8GB of memory. For high performance systems, choose a minimum of 16GB. Memory is available in various speed ratings but for standard productivity systems we recommend using either 2400MHz or 2666MHz rated memory. Entry level motherboards will usually include 2 memory slots, more expensive motherboards will include 4 or more slots. For best performance, install memory as a pair i.e. an 8GB memory capacity would be described as 2 x 4GB in the product description. This will enable the motherboard to operate in ‘dual channel’ which will offer the best performance. Your choice of storage is important to overall system performance as well as defining the amount of local storage space available on your PC. Windows will read and write many files to your storage drive both during boot up and during the normal course of operation. Using a slow storage drive will make your PC feel sluggish and can be frustrating to use. Solid state drives (SSD) are far faster than traditional hard disk drives but they don’t usually have as high a capacity and they tend to cost more. Most customers would be advised to specify an SSD of at least 120GB as the primary storage drive as this will contain the OS and will be used to boot the PC. This will give the greatest benefit to how fast the PC feels in normal use and how quickly it boots up or resumes from sleep. If you can afford it, we would recommend specifying an SSD of 256GB or 512GB as you will tend to prefer to store some frequently used data and application files on the SSD due to its high performance. SSD come in a variety of types and performance. The leap in performance from a HDD to an SSD is massive but performance gains can also be had by moving from a traditional SSD to an NVMe SSD. Most customers will also wish to specify a second storage drive and we recommend specifying a traditional HDD for the secondary drive. This will enable the use of high capacity storage drives which will offer adequate performance for photos, videos and applications used less often or data which is not so performance critical. 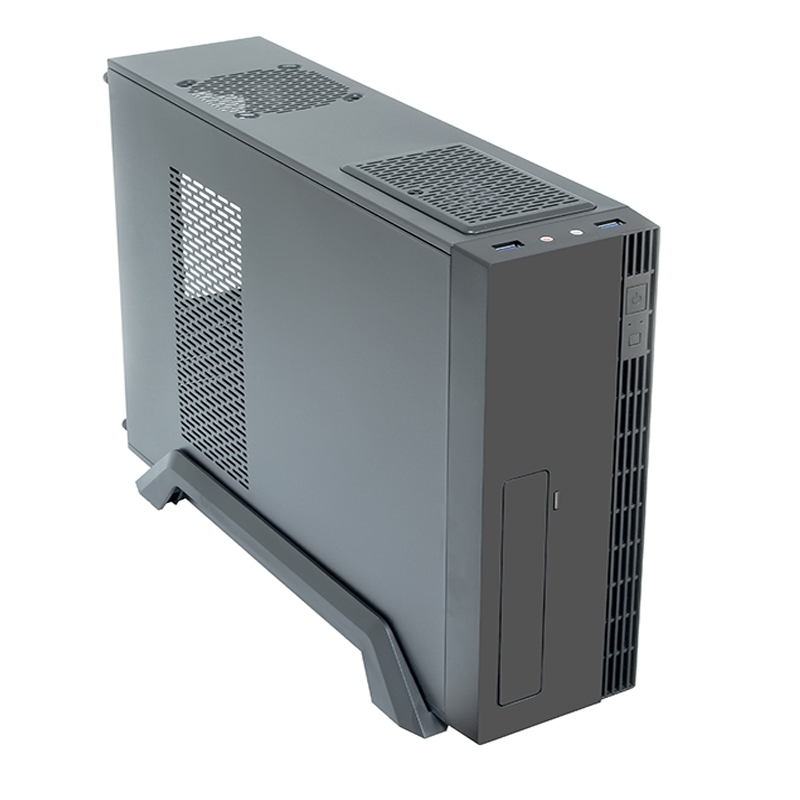 Our home productivity PC doesn’t come fitted with a discrete graphics card as standard but you can add in a mid range card using our configurator if required. 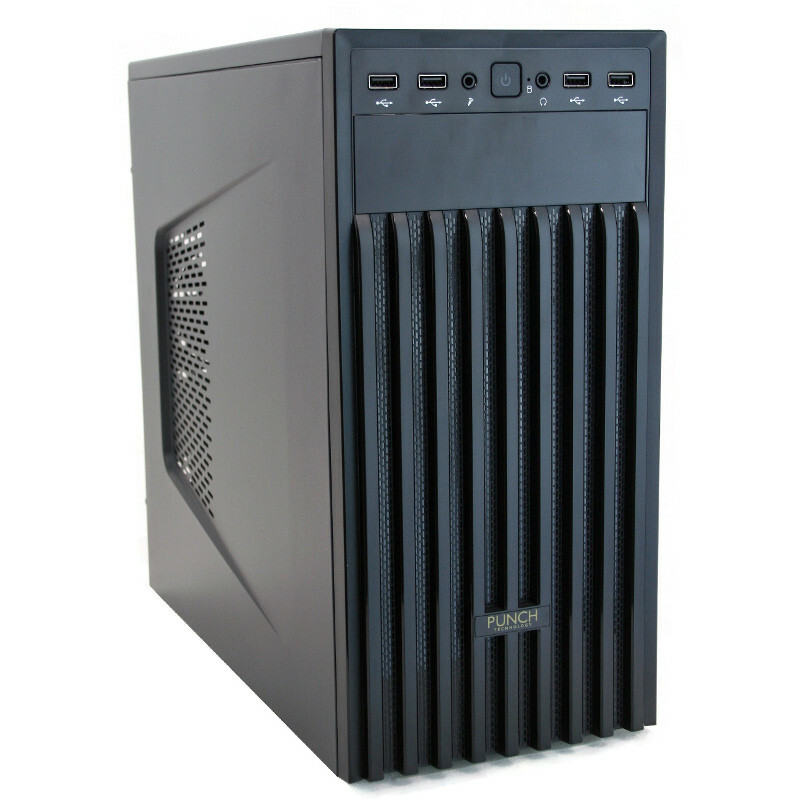 The standard integrated graphics are provided by the Intel CPU. 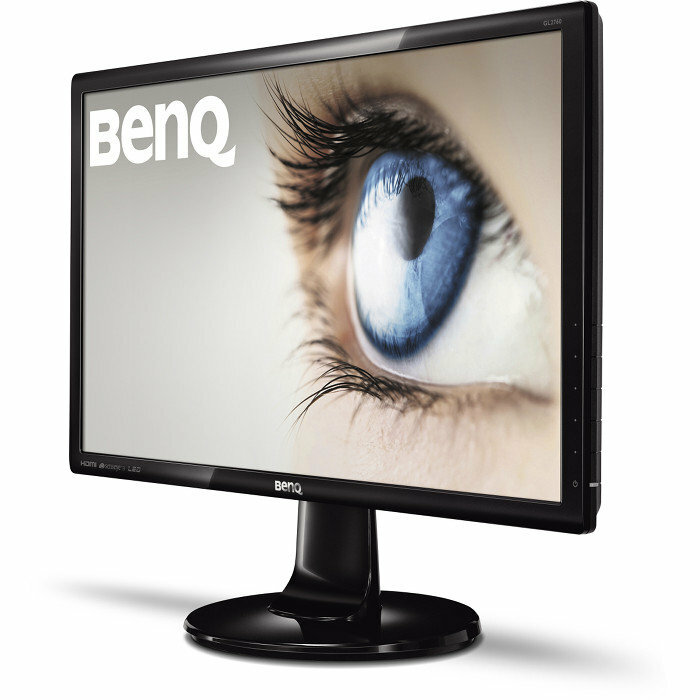 This provides adequate graphical power for most home office based tasks including watching films and surfing the web. If the system will also be used for gaming or perhaps for professional graphic work with 3D design and modelling there would be a benefit from choosing a discrete graphics card. 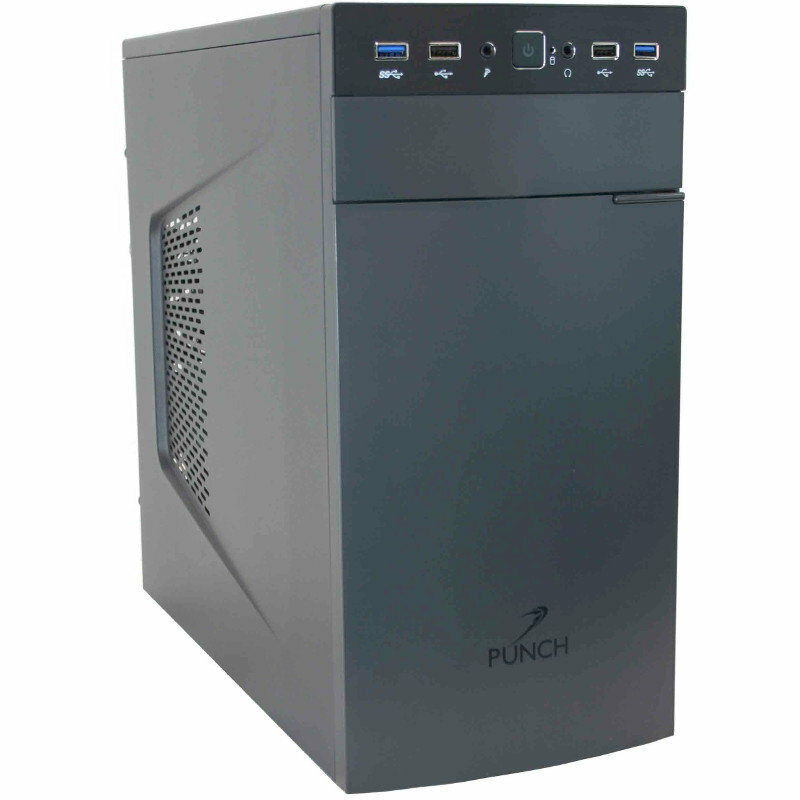 The choice of available graphic cards for this system is limited by the small size of the chassis but performance will be more than adequate for most home productivity applications. For more demanding professional applications, choose from our range of Quadro based graphic cards and create your own entry level graphical workstation. Quadro cards are suited to users running professional computer aided design (CAD), computer generated imagery (CGI) and digital content creation (DCC) applications.